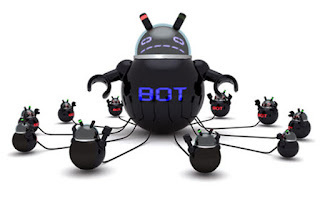 Two botnets accounted for 97 percent of all spam sent in the fourth quarter of last year, according to McAfee in a new report. These are the Necurs and Gamut botnets, which are rented by spammers for sending spam, phishing emails and malware. Necurs was the most used with a share of 60 percent, followed by Gamut with 37 percent ( pdf ). According to McAfee, Necurs is currently the largest spambot network in the world. The contaminated machines that are part of the botnet are controlled via a peer-to-peer model. In the fourth quarter of last year, the Locky ransomware and Dridex bank malware were sent via Necurs, among other things. Gamut focused more on e-mails during this period to recruit money mules and phishing e-mails.